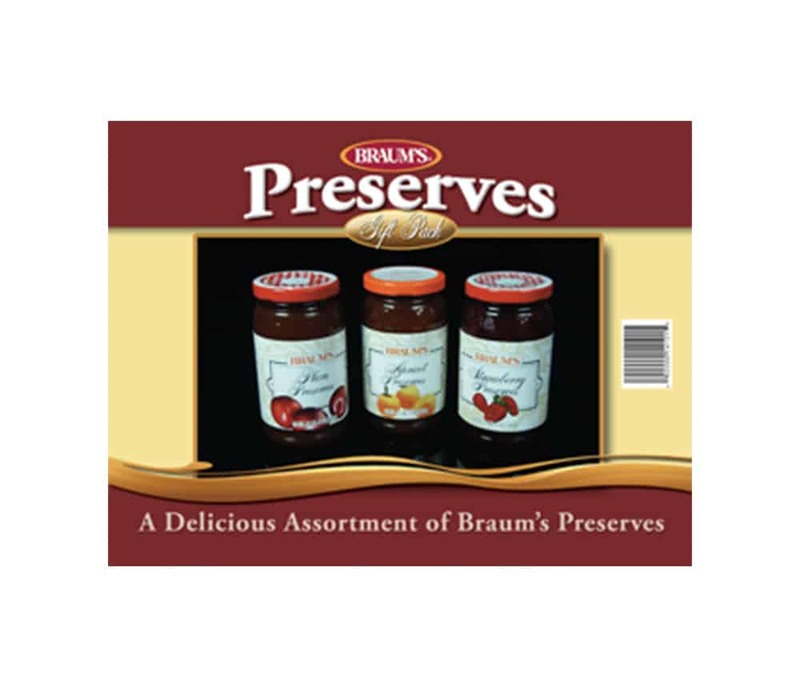 Our charming preserve gift pack offers gourmet Apricot, Plum and Strawberry Preserve that are worth bragging about. A delicious treat and thoughtful gift for under $10 ($7.49 to be exact). Full, rich flavor, oh so good. With a preserve gift set like this at hand, maybe you’ll get invited to breakfast!